Stephen Grove is looking to carry momentum into the final round of the 2018 Porsche Wilson Security Carrera Cup Australia season on the Gold Coast as Earl Bamber rejoins the team for an exciting one-off appearance. Grove arrives off the back of a strong outing last time out at Bathurst where he clinched the Endurance Cup championship. The Melburnian heads into this weekend’s event on the 2.9km Surfers Paradise Street Circuit well positioned to take his third TAG Heuer Pro-Am series title. He sits 153 points ahead of nearest rival Adrian Flack in the class standings with only 180 points on offer in the final three races on the Gold Coast. “I’m really looking forward to the weekend, this is a track that I really enjoy driving around," said Grove. While Grove’s focus will be firmly set on taking home the chocolates, Grove Motorsport will be welcoming another driver to the team this weekend, fielding two Porsche 911.2 Cup cars. As previously announced, two-time Le Mans 24 Hours winner and World Endurance Champion Earl Bamber will race a second Grove Motorsport entry for the Surfers Paradise event as teammate to Stephen Grove. 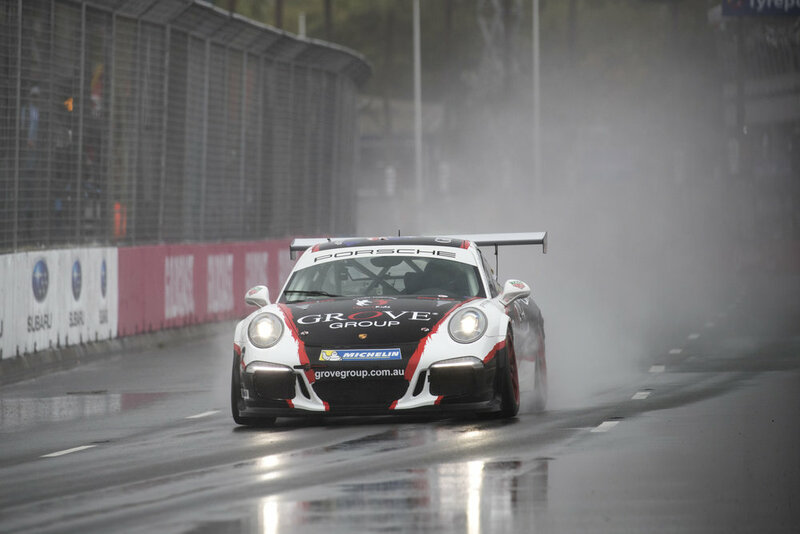 The appearance will be Bamber’s second in Carrera Cup Australia; his debut in the Australian series was as Grove’s co-driver for the inaugural Pro-Am round at the 2013 Porsche Rennsport Australia festival, held at Sydney Motorsport Park. “It’s going to be really exciting, I can’t wait,” said Bamber, who will also line up on the Supercars Championship grid for the Gold Coast 600 sharing a Triple Eight Holden with Shane van Gisbergen. “It will also be my first time racing on the Gold Coast streets, I’ve watched the Supercars and Carrera Cup races on TV a few times, but I’m so pumped to be driving this year not only in Supercars co-driving with Shane, but also in Carrera Cup. Practice and Qualifying get underway on Friday ahead of the sixth and final race of the 2018 Endurance Cup, spanning 32 laps on Saturday at 08:35 AEST. Race 2 follows at 13:15 AEST, with what is set to be a breathtaking last race of the season (Race 3) seeing the green flag on Sunday 13:05 AEST. Stephen Grove at last year's event on the Gold Coast.